. Published on Thursday, May 14, 2015 . 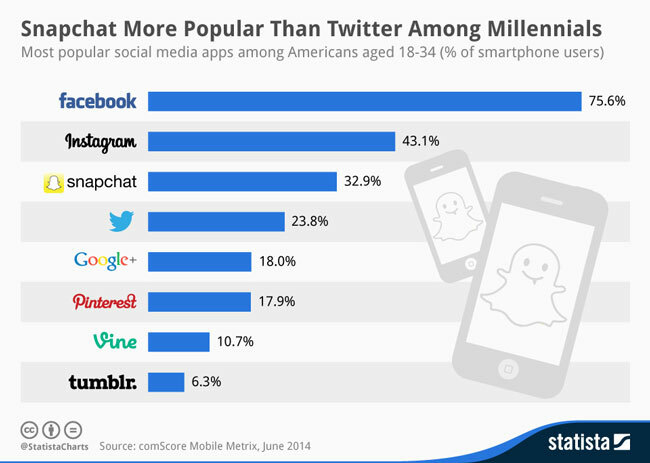 Since its launch in 2010, Instagram has become one of the most popular apps used by Americans aged 18 to 34 years old. And with good reason. Instagram can arguably be described as Twitter for photographers (or people who really like to think they’re photographers). But with over 150 million active Instagram users and 90% of them being under 35 years old, Instagram is no longer just any old app; Instagram is now popular not only among millenials and celebrities, but with businesses interested in marketing their own products and services. It’s kind of a big deal now. But sure, we’re college students and our personal Instagrams aren’t exactly that serious. That doesn’t mean we can’t make it look its tip-top best! Here are some simple tips you can take to make your feed look a little more aesthetically pleasing! Stick to a theme and style. Try to stay away from Instagram’s filters. It’s definitely tempting to use them with so many available, but stay away! To simply put it, there are just so many other, better performing apps out there that will do the editing for you; Instagram filters are a lazy way out. Like this article states, a lot of the presets Instagram comes with can be achieved with other apps as well, except with even more options you can use to individualize your photo! My favorite go-to is VSCO Cam but here are a variety of photo apps you can use instead of giving in to those presets. Your followers are on Instagram to see cool photos, and if you’re not posting consistently, you’ll get lost amidst all the awesome posts out there. Personally, I like to clean out my Instagram once in a while, which means I’ll unfollow anyone who isn’t posting regularly. You posted 23 weeks ago? There’s no need for me to be following you then! If you don’t have something particularly nice to post for a certain day, you could always save up photos you took on other occasions. I do this all the time; it makes me look less boring if we’re being honest. Let’s be real—no one is at the beach, traveling the world, partying with their friends or eating at hipster restaurants every single day. Save those pictures for a rainy day! But on the other hand, don’t spam your followers (remember: Instagram, not InstaSpam). What I mean is know when you should post your photo. For some reason, I get way more likes on a photo I post right before midnight than I do on one I post in the middle of the day. Maybe that’s because everyone I know scrolls through their feed just before heading to bed. Know what your sweet spot is and you’ll get more views and likes! How do you find out when to post? This will help you out! Don’t be that person who commits the heinous Instagram crime of creating whole essays made up of just hashtags. No one likes that person. But it is beneficial to know which hashtags will shove your photo out into the spotlight. Here are the top 100 hashtags used on Instagram. Of course, some hashtags are so often used, your photo may just get drowned out among the millions of others, but make sure you still tag those posts! You never know who may be looking through those tags; I, for one, am a huge lover of the #pugsofinstagram hashtag. You know I’m liking every single picture on that hashtag. Who are some of your favorite Instagram users? Share with us using the hashtag #CampusCropChat on Facebook, Twitter or Instagram, and remember to follow us on Snapchat @asicpp!